In ancient times, the primary method of measuring body temperature was to touch one’s forehead or lips. In this way, doctors were able to detect patient’s temperature higher or lower than theirs. Another widely popular method was to check the temperature by touching the chest over the heart with hand. This also works well as in case of fiver the temperature of the heart also increases. Eventually, it also used to measure pulses. But what do we do for measuring body temperature nowadays? A thin piece of instrument is enough for displaying accurate temperature. Thanks to the advent of technology, we don’t need to adopt all those earlier popular methods. In fact, because of thermometers, we don’t need to visit a doctor. Because of advancement in microprocessors and microcontrollers, you don’t even have to pay a visit to a doctor. Instead, you can measure it from your home. Yes, you heard it right. Without losing your further interest, here is the complete list of best thermometer apps for Android and iOS devices. It is one of the most powerful apps through which you can measure the temperature from just 3 to 5 cm distance. The main feature of this app is that you can store the temperature for future use. It is easily available on Android and iOS. It displays location-wise humidity and temperature. Now, you don’t need to carry a thermometer while Real Thermometer makes use of sensors of your device. 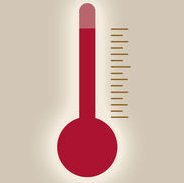 This is the best thermometer iPhone app. It contains many good features like you can track the temperature of all your family member and allows you to set the alarm or reminder. It also gives you a feature through which you can save notes into it. For the measurement of each member, it automatically records the dates, time and location. To use this app, you need to enable your geo-location so that it can easily detect the current temperature of your present location. That’s why Thermo app is also known as the geological app. 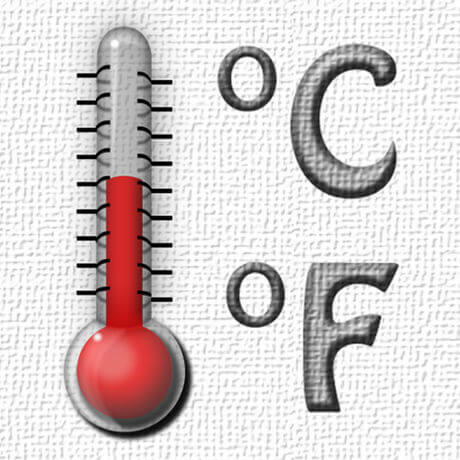 You can install this thermometer for iOS devices. Comparison of temperature between today and the day before is an additional feature of this app. It will give you an accurate output of the temperature of your current location by enabling the location just like Thermo. It allows you to detect the humidity and measure the temperature in both Celsius and Fahrenheit. This app is available for both Android and iOS users. You count its accuracy by looking at 5,000,000+ installs. You can count this for the best for Android devices. The user interface or designing of Thermometer Plus is pretty amazing. It allows you to measure various types of temperature like humidity, atmospheric pressure, air temperature etc. But if you want to get accurate results then make sure to keep the device far from the hot objects. Once you install the app, you will feel its simple and clean interface design. Instead of manually entering the location, it automatically detects temperature based on your location. Give it a try on your iOS device. The main advantage of selecting this application is its great vivid colors and beautiful design. When you download this app on your Android smartphone then you will feel like that you use any typical weather app. You can measure the relative humidity, atmospheric pressure, etc through this application. Internet usage is optional for this smart thermometer. GPS enabling is also required for a device not having an in-built temperature sensor. It is also a most amazing app to detect the accurate result by detecting your location whether you can enter or it will automatically detect the location. But you need to remember one thing if you want accurate output. You need to measure the temperature fast because the sensor which measures the temperature is present in the battery. It is built for both iOS and Android devices. This app gives result in the form of a graph which helps you to compare the present result with previous results. EasyBBQ offers you to use the feature of the Countdown Timer. You can see up to 6 temperature on your iOS or Android device because as supports both the operating system. The main advantage of this app is to have a real-time measured temperature. It contains a timer and temperature alarm too. This is one of the best fever thermometer apps for Android and iOS devices. 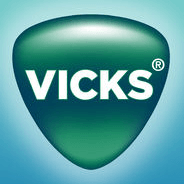 This app has the best feature to give you a symptom guidance for your illness. It can measure the temperature and give you a sign through which you can know that you are sick or not. It is available for Android and iOS users. It has an option for medication reminder but it is not free of cost which proves it a quality body temperature measurement app. You will give some money to use this feature. It has got a good amount of installs too. Using this amazing thermometer app, you can turn your smartphone into a digital thermometer. One of the advantages of this app is that you can see the output in graph form with the zoom option and it allows you to see a live display on your device. It is available for both the smartphone operating system i.e. Android and iOS. It can be also used in school for teaching science and technology, controlling food quality etc. 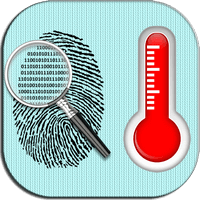 It seems you are excited to see how this app can measure temperature by placing our finger, right? After installing this app, you need to put your finger on your mobile screen. Within a few seconds, your temperature will be displayed. It can also be considered as the best android thermometer app. On the other hand, it is not available on play store or app store. But you will be able to download this app from download button given below. 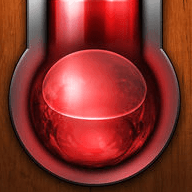 It is also a popular thermometer app for iPhone with around 3,000,000 installs. Its accuracy tends to the tenth of a degree. It works on a unique developed algorithm which multiplies data sources from our surrounding environment. You can measure temperature corresponding to your location precisely anywhere in the world. You will have many high-graphics themes inside the app. It is also available in various languages.